Since [Gene Roddenberry] traveled back in time from the 23rd century, the idea of a small, portable device has wound its way through the social consciousness, eventually turning into things like smartphones, PDAs, and all the other technological gadgetry of modern life. 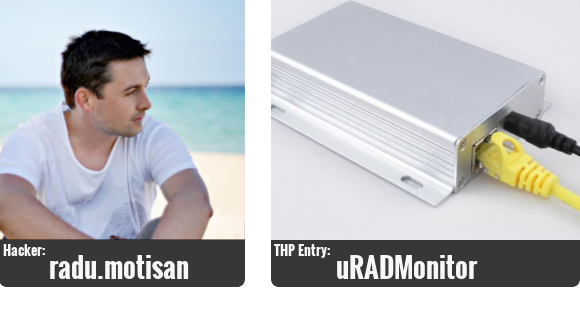 A few years ago, [Peter Jansen] started The Tricorder Project, the start of the ultimate expression of [Mr. Roddneberry]’s electronic swiss army knife. Now [Peter] is building a better, smaller version for The Hackaday Prize. [Peter]’s first tricorders borrowed their design heavily from The Next Generation props with a fold-out section, two displays, and a bulky front packed to the gills with sensors and detectors. Accurate if you’re cosplaying, but not the most practical in terms of interface and human factors consideration. These constraints led [Peter] to completely redesign his tricorder, disregarding the painted wooden blocks found on Enterprise and putting all the electronics in a more usable form factor. A muse of sorts was found in the Radiation Watch, a tiny, handheld Geiger counter meant as an add-on to smartphones. [Peter] envisions a small ~1.5″ OLED display on top, a capacitive sensing wheel in the middle, and a swipe bar at the bottom. Basically, it looks like a 1st gen iPod nano, but much, much more useful. Plans for what to put in this improved tricorder include temperature, humidity, pressure, and gas sensors, a 3-axis magnetometer, x-ray and gamma ray detectors, a polarimeter, colorimeter, spectrometer, 9-axis IMU, a microphone, a lightning sensor, and WiFi courtesy of TI’s CC3000 module. Also included is something akin to a nuclear event detector; if it still exists, there has been no nuclear event. It’s an astonishing array of technology packed into an extremely small enclosure – impressive for something that is essentially a homebrew device.Even if it doesn’t win the Hackaday Prize, it’s still an ambitious attempt at putting data collection and science in everyone’s pocket – just like in Star Trek. [Manish] packed lots of functionality into this radiation sensor module. The device is completely solar powered and weatherproof, so it can be mounted anywhere. It uses a Geiger Muller tube to monitor radiation and connects to the internet using wifi network to report the readings. The design uses an Arduino Pro Mini to perform the monitoring and reporting. Wifi connectivity is provided by a RN-XV wifi module. A solar panel, Adafruit’s solar charger, and a LiPo battery are used to provide power to the device. It’s enclosed in Adafruit’s IP-66 rated weatherproof enclosure. A custom Geiger Muller tube interface is used to interface with the tube. The interface is simple and cheap. 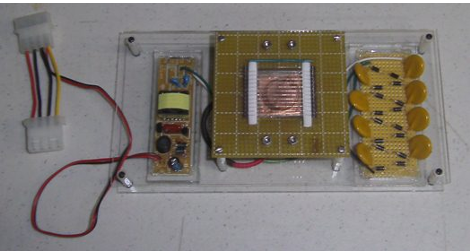 It provides the high voltage required to drive the tube, and circuitry needed to detect the ionization events. Once the device is connected to the internet, it uploads data directly to Cosm. This service lets the data be shared using Twitter, or accessed using an API. The project shows how to build a wireless networked sensor that directly connects to the internet for about $100.